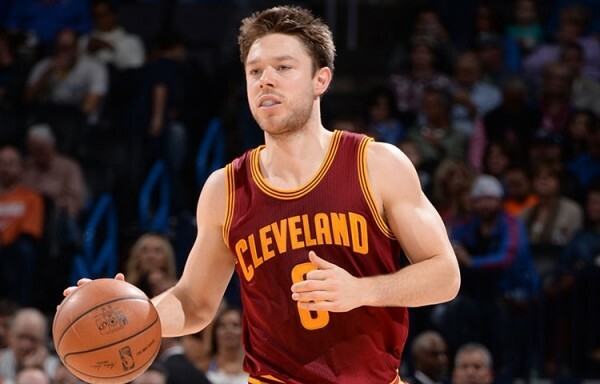 Unable to leverage his performance in the NBA Finals, Matthew Dellavedova re-signs with the Cleveland Cavaliers for the veteran’s minimum, giving the team a very good third point guard and another piece re-signed from their finals run last season. Despite a few good games in the playoffs, the NBA and the team’s execs & scouts didn’t fall head over heels for Dellavedova. He did not’ receive the kind of offers he thought he would after making himself known during the Finals. For a third point guard, playing behind Kyrie Irving and Mo Williams and sometimes next to one of them, there was really no point in paying him more than the veteran’s minimum, especially with the demand being pretty much zilch. Not that Dellavedova is a bad player, but even on a team less stacked than the Cavaliers, it’s hard to imagine him filling a much bigger role. He is a relentless defender but can be pushed around, and overall, his greatest worth is probably in this small role on the Cavaliers. Getting more minutes might actually hurt the impression he gives off on his good days. The Cavaliers retain another piece from their finals run. A popular one to be sure, but not someone they couldn’t go on without. Still, for a veteran’s minimum (disregarding the luxury tax implications making him more expensive), he’s not a bad player to have at all.